Panatahi Island offshore of Karekare Beach and Karekare Point. Aerial view looking towards Whatipu. 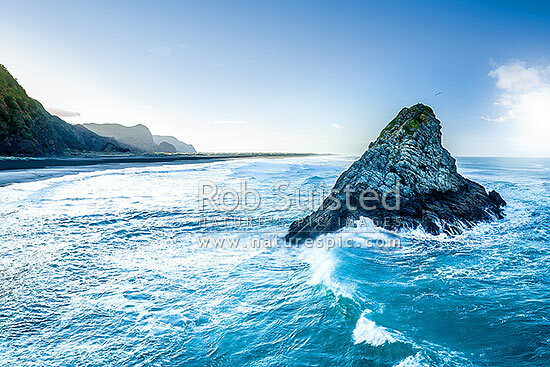 Dawn aerial view, Karekare Beach, Waitakere City District, Auckland Region, New Zealand (NZ), stock photo.